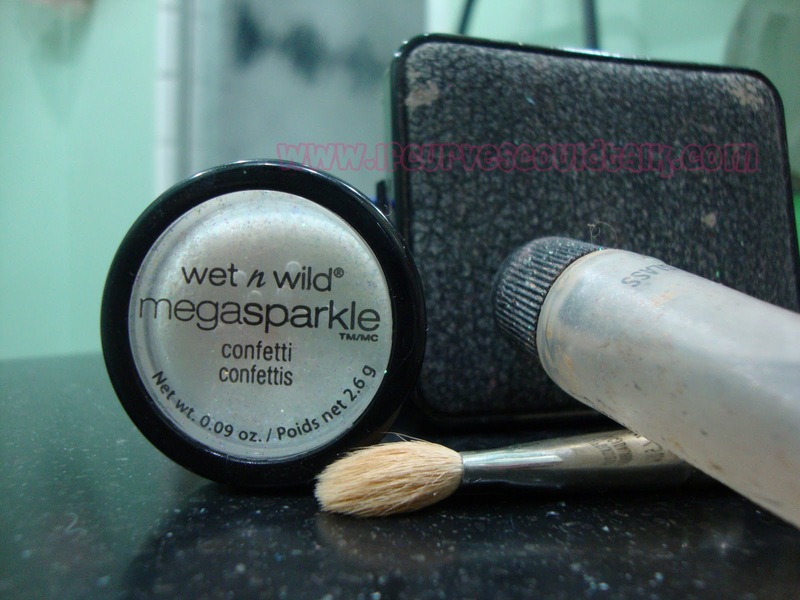 Okay, when I first bought this all I thought was GLITTER! But when it came down to it, the label said "Keep area from eye and lip area"
Understandable! I mean, it could cut your eye! But I didn't listen...OBVIOUSLY...I am a rebel like that. I actually thought it was pretty on my chest area, eyes and lips. As you can see, I mixed it in with an eyeshadow in one picture and without an eyeshadow base on another. I also added it to lipglass by MAC...wanna know what it reminded me of? 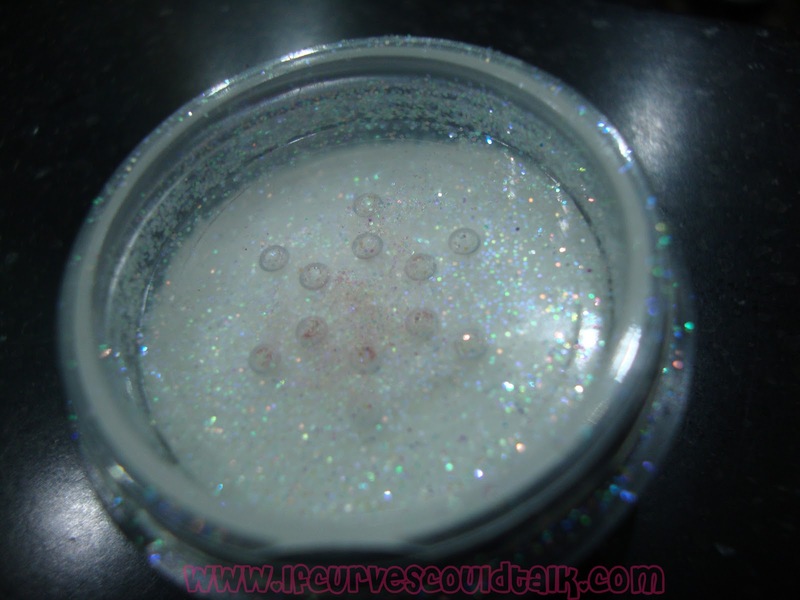 MAC'S snowgirl Lipglass, which I believe has been discontinued. It actually stayed too...which is good. I mean a little dust off here and there but 99% of the glitter stayed in place. 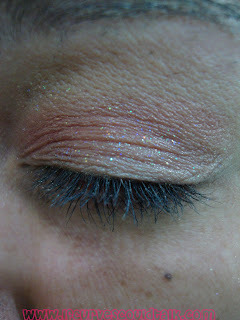 Its a fun and flirty way to dazzle your make-up.. 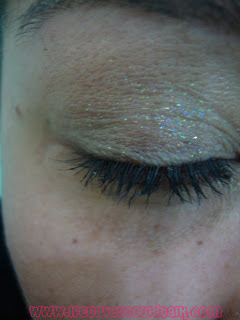 It really isnt to be worn EVERY day...only when you wanna be fun and sparkly. 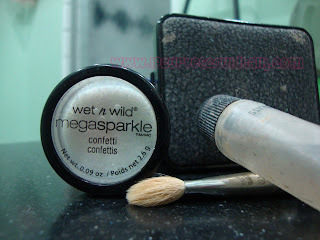 How do you guys use glitters? omg!!!! 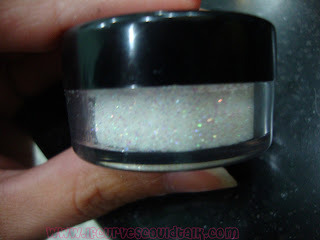 i love me some glitter!!! it looks great !!!!! i love to dab glitter on my arms as a shimmer and on my neck You're such the rebel !!! just make sure u dont end up with a reaction over your eyelids ouchie love u!!! I have a similar one! I love glitter too, ha-ha! 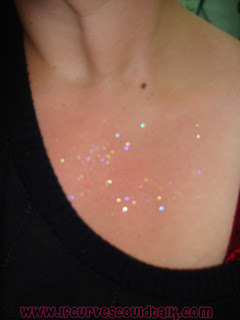 I love how it looks dusted across your chest, that's the same way I wear most of my extra sparkly stuff. omg I loooooooovvee this! It looks so rad on your décolletage!